The JDSU OLP-87 PRO is designed for the qualification, activation and troubleshooting of B-PON, E-PON, G-PON, XG-PON and 10G-EPON networks. 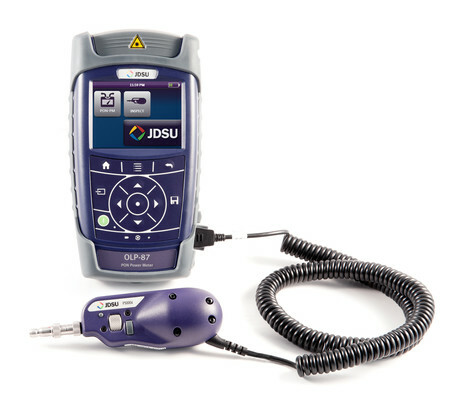 As well as being part of the JDSU SmartClass family, the OLP-87 PRO combines an FTTx/PON power meter with a P5000i microscope for both testing and inspection analysis. It is available for rent from TechRentals. 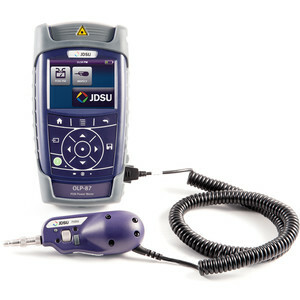 The FiberChek software and P5000i probe allow for pass/fail fibre inspection analysis and reporting. Suitable for end-of-line testing, activation and maintenance of all FTTx/PON signals. The compact field unit performs simultaneous measurements for voice, data and video signals (through-mode capability). The OLP-87 PRO has a touchscreen interface and USB connectivity, simplifying usability for technicians in the field. Features of this power meter and microscope include: 1490 and 1550 nm wavelengths (λ) downstream, 1310 nm λ burst mode upstream, and onboard storage and reporting software. It is supplied with various tip adapters. 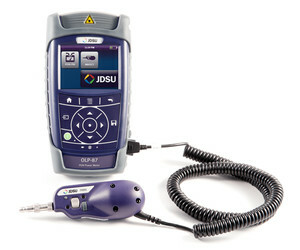 I am interested in JDSU OLP-87 PRO SmartClass Fibre PON Power Meter and Microscope .